(PORTLAND, Ore.) -	 KATU (ABC) and KNMT (Trinity Broadcast Network) will change frequencies this Friday 4/12/19 as part of the FCC spectrum repack, which requires nearly 1,000 TV stations across the country to change frequencies over the next two years to make room for wireless broadband services. This means that any viewer who watches these stations through an antenna will need to rescan their TV in order to continue watching local programming. The couple is suspected of forcing children to ingest marijuana, and other abusive events. (PORTLAND, Ore.) -	 Two young boys living in New Pine Creek, Oregon, near the California border disclosed extensive physical abuse and being forced to ingest marijuana. Warrants were issued but Fortune and Baust fled Lake County and the state of Oregon prior to being apprehended on the listed charges. (SALEM, Ore.) -	 Tonight about 7 o'clock, Salem Police officers responded to the 300 Block of Bradley DR SE on the report of an injured child. When officers arrived they found a two-year old girl with a gunshot wound to the head. The girl was transported by Lifeflight to a Portland area hospital with life-threatening injuries. Detectives are on-scene conducting an investigation. (MYRTLE BEACH, SC) -	 Consider how many lives could have been saved if those responsible for the prescription opioid epidemic had been charged under RICO. Why should they have been charged and what exactly is RICO? Here is a simplified definition for those not familiar. 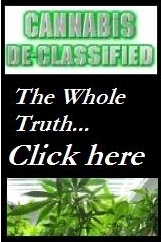 1,600 medical growers are warned to comply- or else! (PORTLAND, Ore.) -	 The Oregon Medical Marijuana Program (OMMP) is warning hundreds of cannabis growers they need to come into compliance with inventory reporting requirements or face stiff penalties. “Reporting to OMMOS is crucial in that it requires growers to report cannabis products going into or out of their site, or remaining onsite, which helps to prevent diversion to the black market,” said Megan Lockwood, OMMP manager. The Marion County Sheriff’s Office has identified the drivers and passenger in this fatal collision. (ST PAUL, Ore.) -	 Investigators believe 26-year old Jorge Valdez-Espinoza, of Newberg was driving his Chevy truck west on McKay Road at a high rate of speed when he collided with an eastbound box van, killing Valdez-Espinoza instantly. The crash also killed the driver of the box van, 33-year old Joseph Ensign-Lewis, of Portland, as well as the passenger in the Chevy truck, 21-year old Leonel Sanchez-Jaimes, of Salem. (DAYTON, Ore.) -	 A wood chip truck on its way from Willamina to Vancouver with a full load of chips crashed Monday morning near Dayton, closing Hwy 18 in both directions from 9 o'clock until after 4 p.m.
Travelers going south were detoured around the closure using Kreder Road which connects to 99W just north of Lafayette. Those traveling north were detoured through Lafayette, causing enormous back up for thousands of vehicles. (MYRTLE BEACH, SC) -	 After a stint of less than two years as Commissioner of the FDA, Scott Gottlieb, MD has announced his resignation to "spend more time with his family."